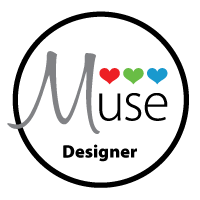 Happy to share that I will be joining the Muse Challenge blog as a designer starting July 6th! You can get the details here. This challenge is an easy one because all I have to do is design something about once a month. No pressure. You are officially invited to play along. Thanks Ardyth for the opportunity. So excited to have you join the Muse team, Joan! Can't wait to get started and see how everyone is inspired by you! A BIG BIG congrats Joan! I can't wait to be inspired! Wonderful news! Congrats! Looking forward to seeing your cards on the challenge! Yay! How exciting for you and for the MUSE team! Super news, will be looking forward to your designs. I'm certain it will be fun for you, Joan! Love what you said about "clean and difficult". Ain't it the truth, though. Great cards on the Muse blog. Definitely inspirational.